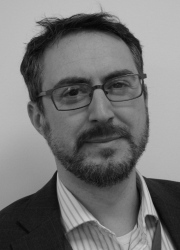 Tom has over 20 years’ experience leading the adoption of new technologies to achieve successful commercialisation. During 2014, he was appointed to establish a new division, Ricardo Innovations, with the objective of leading Ricardo’s R&D portfolio. Prior to joining Ricardo, as President and CEO, Tom successfully transformed a crash dummy product company into a world leading technology company providing human injury data to save lives. At Ricardo, Tom has developed a new R&D process that focuses on adoption of new technology programs. 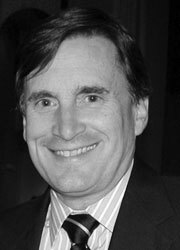 He is a previous advisor at the University of Michigan Ross School of Business course, ‘Financing Technology Start-ups’. His mentoring role continues two-fold as he advises rapidly expanding technology companies with guidance to secure venture capital funding and develop technology plans as well as directs market and strategy plans for early stage university spin outs. Tom started his career at General Electric in the Financial Management Training Program. Prior to joining GE, he held positions at Shell Oil and General Motors. From Manchester University, Andrew holds degrees in Electrical and Electronic Engineering with Management. His experiences include project management and product life cycle development, coupled with numerous patented technologies and processes taken to commercialization. His technical partnerships developed during his career have extended throughout the supply chain and have provided distinct commercial value through the delivery of innovative technology solutions in a broad range of technical areas, such as power system designs, command and control systems on submarines and MRI systems. After positions at Bowthorpe and Siemens Magnet Technology, Andrew joined Ricardo in 2007, and is now continuing his role in bringing critical technology to market with Ricardo Innovations. Simon graduated in Automotive Engineering and Design and completed his doctorate in engine tribology. His career to date has centred on vehicle development with a specialization in powertrains. Between 1993 and 2006 he worked for Ricardo, on engines development and research projects in both the UK and Germany. In July 2012, he rejoined Ricardo, and now Innovations, where he is responsible for the collaborative research portfolio of the company. Outside of Ricardo, Simon has held positions at Behr and LeylandDAF Trucks. He has also held a variety of positions at the Institution of Mechanical Engineers in the UK, and been a visiting lecturer and continuing member of the Technical Advisory Board for the Esslingen University of Applied Sciences in Germany. 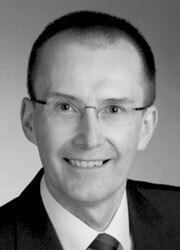 Simon is currently Chairman of the European Automotive Research Partners Association. An operations and finance professional with over 18 years’ experience at board and executive levels, Chris joined the Ricardo Innovations team in 2016. He has managed teams across a wide range of disciplines, including finance and IT, production, engineering, supply chain, quality and conformance, as well as HR. This management experience runs across a range of organizations in the manufacturing, engineering and non-profit sectors. He has also led two significant business reengineering projects in business administration/production, which incorporated lean principles into systems and processes. Nick joined Ricardo Innovations in 2016 and is responsible for ensuring technology research programmes are aligned with the strategic objectives of our business partners. Nick manages direct client engagements and ensures our research programmes are communicated effectively to our customers. Prior to joining Ricardo, Nick worked for 10 years in global power generation fulfilling a variety of technical and commercial roles delivering open cycle and combined heat and power plant to European industrial, and oil and gas clients. Most recently Nick worked for a globally recognised heavy duty marine engine supplier where he managed their aftermarket support sales team as part of the leadership team. Nick graduated Southampton University with a degree in Aerospace Engineering. 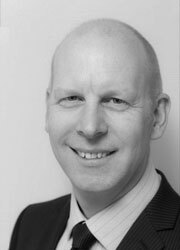 Andy’s career at Ricardo began in 1994 as he graduated from Loughborough University with a degree in Mechanical Engineering. His passion for the development of engines that are cleaner, quieter and more efficient, whilst maintaining their edge on the road, has led him through a variety of projects, from three-wheeled automobiles and passenger cars to heavy duty trucks and large power generation engines. Outside of Ricardo Innovations, Andy maintains a role as trustee of the Ricardo Pension Scheme. In 2014, Jon was involved in the formation of Ricardo Innovations, building on his existing experience and career with Ricardo. He joined the company in 1999 and has spent more than a decade devising and developing technologies associated with geared systems, transmission actuation, driveline and chassis dynamics, passenger car hybrids, flywheel systems, military drivelines, wind turbine technologies, and synthesis and selection of complex systems, most recently applied to hybrid drivelines. In 2011, Jon was appointed a visiting professor at the University of Sheffield, specialising in early machine prognostics and reliability solutions, particularly focused on bearings, where he now also heads a Ricardo technical centre. 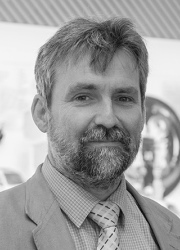 Prior to Ricardo, Jon worked as a researcher and at Land Rover Concepts. Jon graduated from Loughborough University and holds degrees in both Aero and Automotive Engineering. Corin joined Ricardo Innovations at its inception in 2014 and has continued to be an integral player in its growth and evolution. 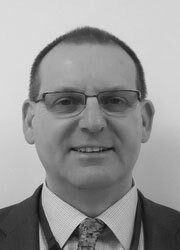 Since he joined Ricardo in 1990, he has gained extensive experience in vehicle engineering and technology, having held a range of technical and operational leadership roles in both client, collaborative and internal research programmes. He is now responsible for quality procedures and compliance, with particular focus in the area of grant-funded collaborative projects. 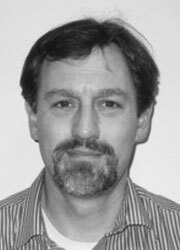 He is a long-standing Ricardo representative within EARPA (European Automotive Research Partners Association) and currently holds the secretarial position in the EARPA Project Management Task Force.